Mysterious shadows that have never seen sunlight… strange lines that have no explanation and rectangular-shaped structures that according to ufologists, are the ultimate evidence of Alien activity on the moon. But how long until we get full disclosure about Earth’s natural satellite? The moon has been the subject of debate among ufologists and researchers lately. It seems the more we look into the moon and try to explain its existence the less we actually understand it. Now researchers from the European Space Agency (ESA) believe something strange is happening with the ‘shadows’ in the image of the lunar north pole. The Crux of the matter is that there should be no shadows there. 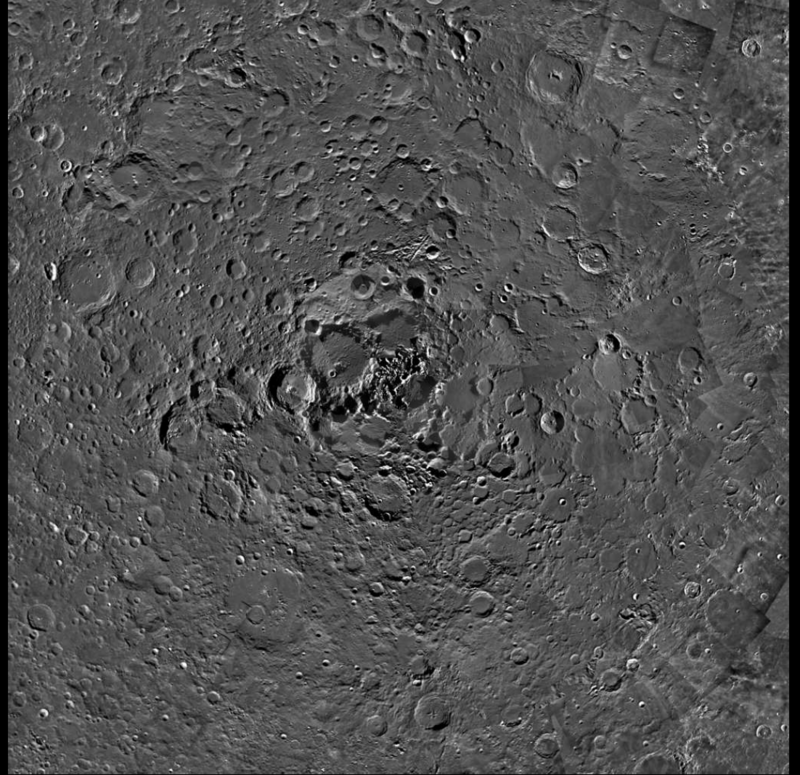 The ESA has taken images of the lunar North Pole from every possible angle during a period of two years collecting nearly 32,000 images. According to a statement from ESA on their website, the biggest challenge in creating this mosaic was the changing lighting conditions. Despite the “dark side of the Moon” misnomer, both sides of the Moon do experience night and day in the same way. The far, or ‘dark’, side has ‘days’ of two weeks just like the nearside and is ‘dark’ only in the sense that it was unknown to humans before the arrival of space probes. According to ESA scientists, the goal of the mission was to catch the pole spun in the direction of the sunlight from every path and ultimately make a variety of the images that show every feature of the pole completely lit up. Then mystery hit the stage… when researchers finally put all the images together, they found out that some parts of the North Pole stayed in a persistent shadow regardless of the angle or direction of the sunlight. How can this be explained? Well you guessed it… it can’t actually. Researchers can only speculate and theorize as to what is causing the mysterious shadows at the Lunar North Pole. 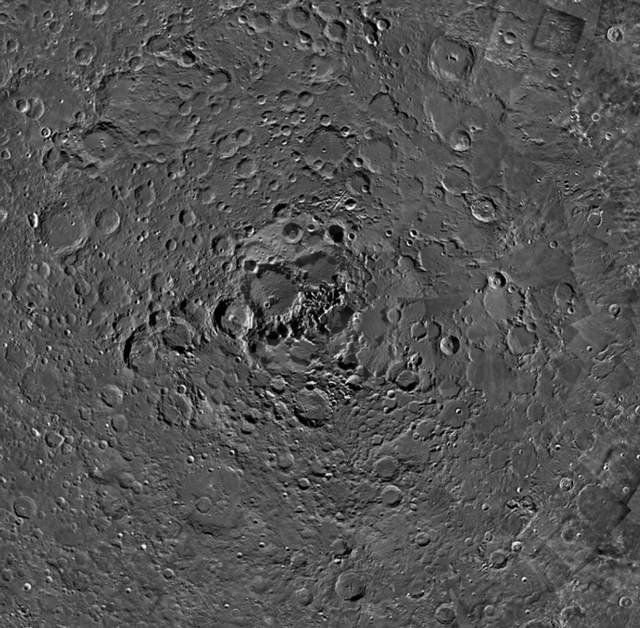 Scientists believe that the darkened areas could be incredibly deep cavities that go deep into the Moon, so deep that they haven’t come across light. UFO hunters have proposed their own theory suggesting that these mysterious regions that have remained in the dark could be entrances to secret alien bases on the moon. Better yet, they believe that these dark spots are the ultimate proof suggesting that the Earth’s moon is in fact a giant hollow base. Notice the mysterious features of the North Pole… Rectangle-shaped structures and mysterious lines… According to UFOlogists, the ultimate proof of Alien activity on the Moon and the real reason why we have not been on the moon in recent years. But the mysterious shadows are the only thing that has scientist’s scratching their heads. If you observe the image of the North Pole of our natural satellite you will notice mysterious rectangular-shaped structures at the North Pole. These mysterious structures have led ufologists and UFO hunters to believe that there are dozens of artificial structures on the moon. The rectangular shaped structures can be seen in the upper right corner of the new image provided by the European Space Agency. So there you have it, two no mysteries about Earth’s ‘natural’ satellite that scientists are not able to explain, two mysteries that will surely fuel the imagination of UFO hunters around the world… and two moon mysteries that will surely give us a lot to talk about in the coming months. Image Copyright ESA/SPACE-X (Space Exploration Institute). Acknowledgments: J. Manuel Fonseca, M. Costa & A. Mora (UNINOVA); B. Grieger & M. Almeida (ESA).